This CBD heavy tincture comes in spray form, which makes it a faster delivery system as it can more readily coat the mouth and start immediate absorbtion. Spray also makes it simple to take while being active and each spray is a single serve dose so you always easily know how much you took. 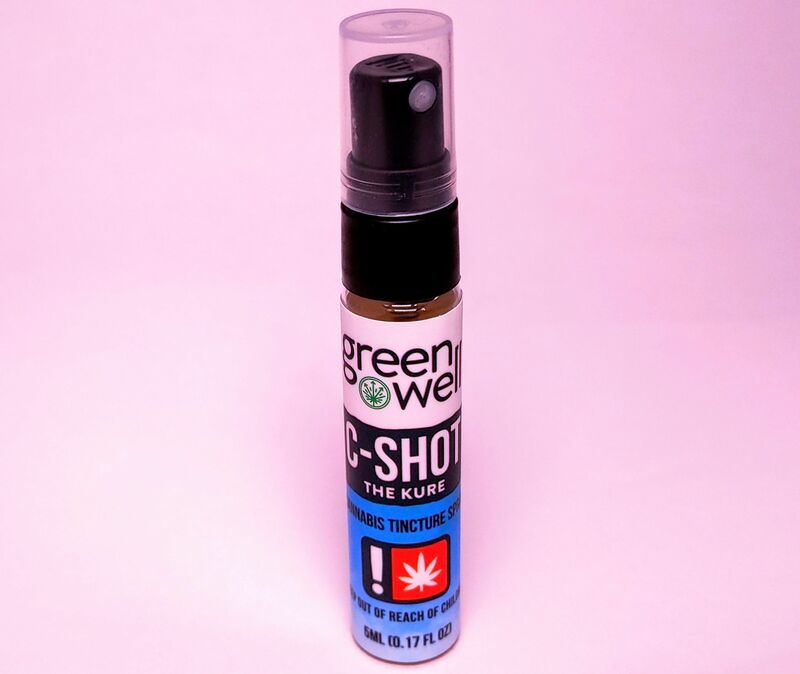 Even those who like low dose edibles can use this tincture as each serving of this C-Shot is only 3.01mg CBD and 0.03mg THC. You'll even have refreshingly cool breath, as this has a balanced peppermint flavor with no hint of bitter cannabis taste!